Games publisher Reality Squared Games (R2 Games) has announced the upcoming release of its newest browser title, Mythborne. Developed by TianTuo Company, the free-to-play MMORPG will take players to a world of Greek mythology, where they’ll balance the use of their own character’s skills with those of secondary heroes, while also completing a journey to defeat evil. 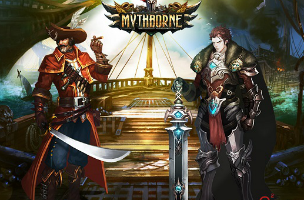 Mythborne offers 2.5D graphics, a quest-based progression system and turn-based battles. Gamers can create a character in one of five classes: duelist, oracle, mage, hunter and paladin. Each has a battle specialty. Oracles, for instance, excel in support magic, while mages use general magic attacks. During combat, players and enemies take turns attacking, and users can trigger powers on the hot-bar at the bottom of the screen. Players gather rage during battle, which can be unleashed alongside larger attacks. As players work through the story, they’ll recruit non-playable characters called Heroes, who will fight alongside them. These heroes complete actions automatically during combat, but players will need to keep an eye on the stats of their player, in relation to these heroes, to make the most progress. As players progress, they’ll be able to upgrade their skills to make them stronger, and will unlock better gear for more character improvement. For social play, users can chat with others in real-time, add other users as friends, or join guilds. The game will be monetized via a premium currency system, allowing players to purchase special items for their account. As of this writing, Mythborne is in open alpha testing. Once the testing phase is over, existing account data will be deleted in preparation for the open beta launch.